A few months ago, I bought a deep dish quiche pan from Williams Sonoma. 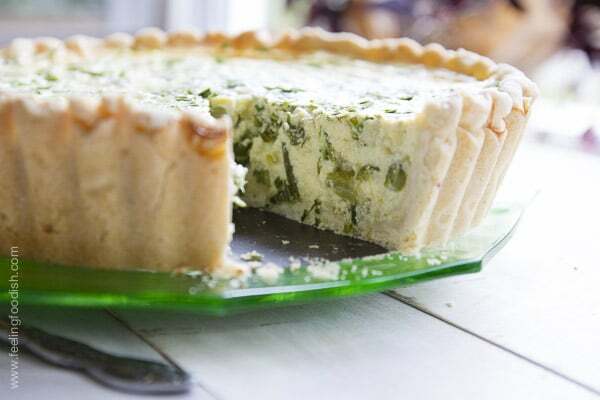 Since I love quiche so much, I wanted to make a bigger quiche and so I thought the deep dish quiche pan would work quite well. And it did! 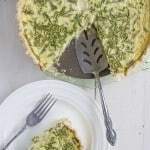 I chose to make a deep dish asparagus quiche with Gruyere but you can substitute any vegetable you like. You can even use cheddar in place of the Gruyere for a different flavor. 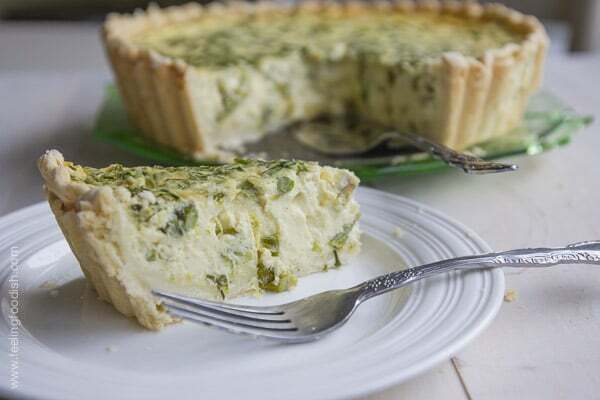 This quiche uses 7 eggs and 2 1/2 cups of half and half as the base. The vegetable is cooked first so that the moisture is drawn out and you don’t end up with soggy quiche. I alwaysss have trouble with my crust shrinking. And so, I placed the uncooked shell in the freezer for 20 minutes after it had been formed in the pan, but it did not help. I’ve read that pie weights are really helpful to prevent pie crust shrinkage and so I’ll go that route next time. Stir in cheese, cooked vegetables, and herbs. Wow, this really looks good. 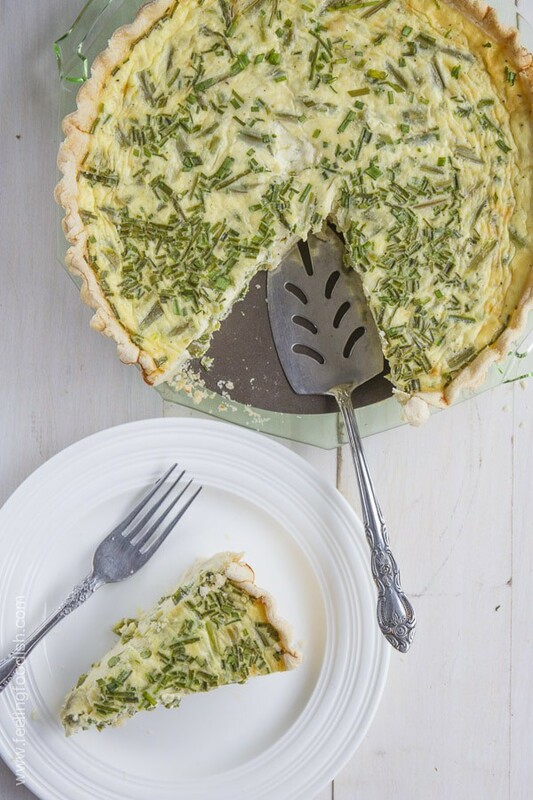 I love quiches, I love asparagus…..this would be a great lunch or summer evening dinner. Thanks for sharing. I am wondering how deep is your quiche dish?